Arlen, Cory and Zach Ness have created this numbered, Limited Edition Ness Cross Country® exclusively for Victory. Sometimes, less is more, and that’s the case with the sleek, stylish blacked-out boomerang windshield. It adds an accent to the fairing that integrates perfectly with the Ness Cross Country’s overall styling. You’ll ride in comfort and in maximum style on the custom Ness-designed seat. Premium genuine leather with custom stitching designed by the Ness collaborative gives this seat one-of-a-kind style. The ultimate step in customizing is diamond-cut cylinders and heads, and they’re featured on every Ness Cross Country. The Freedom® 106/6 V-Twin shines from every angle with this extraordinary diamond-cut treatment. 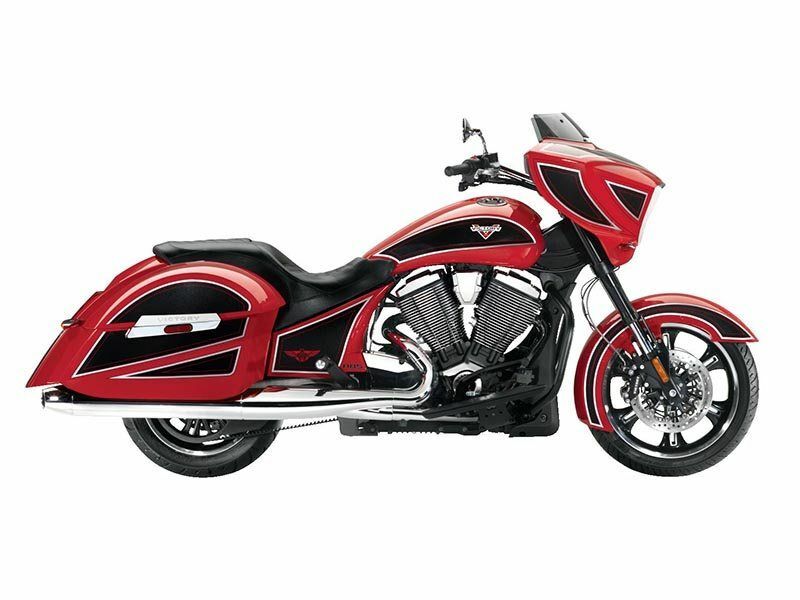 The 106 ci Victory® Freedom® V-Twin delivers 106 ft. lbs. of torque, and it’s a smooth, efficient engine – counter-balanced and fuel-injected. The 6th gear overdrive of the Victory 6-speed transmission drops the RPMs and delivers the smooth ride you’re looking for. The limited-edition metal badge on the case confirms the special, collectible nature of the Ness Cross Country. It features a special Ness logo and each one is numbered to clarify that your bike is part of the special production run. These saddlebags deliver exactly what you’re looking for. They provide 21.3 gal. of convenient, lockable storage space. The lids have a weatherproof seal to help block the elements and protect your cargo, and they open and close easily with one-handed operation. Ness Cross Country riders will turn heads on every street with the special Ness Legacy Paint. Three generations of master custom builders lent their expertise to design this beautiful paint scheme and graphics that flow with the lines of the bike. The Ness Cross Country represents the first time three generations of the first family in customs has teamed up to style a limited-edition Victory motorcycle. Master custom builders Arlen Ness, Cory Ness and Zach Ness styled a Victory Cross Country as only they could, creating an instant custom classic.